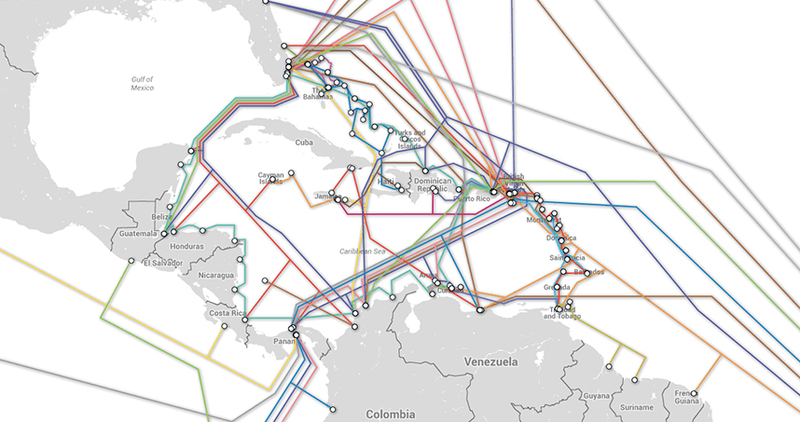 A map showing submarine Internet cables in and around Cuba. Image used courtesy of submarinecablemap.com. In December 2014, President Barack Obama made history by reestablishing diplomatic relations with Cuba, which included loosening its economic embargos. Two months later, American companies like Netflix and Airbnb announced plans to expand into the once-banned island. Wanting to see if these business ideas were feasible, Bustamante, professor of electrical engineering and computer science in the McCormick School of Engineering, and his graduate student Zachary Bischof decided to measure Cuba’s Internet performance. They found that Cuba’s Internet connection to the rest of the world was perhaps even worse than they expected. Bischof will present their findings today, October 30 at the Association for Computing Machinery’s 2015 Internet Measurement Conference in Tokyo. Cuba’s history with computing and Internet is a complicated one. Its citizens were not even allowed to own a personal computer until 2008. In February 2011, Cuba completed its first undersea fiber-optic cable with a landing in Venezuela, but the cable was not even activated until two years later. Today, about 25 percent of the population is able to get online and just five percent of the population has home Internet. Since March 2015, Bustamante and Bischof have been conducting measurements from a server in Havana to observe Internet traffic going in and out of Cuba. They measure the amount of time it took for information to travel in both directions, taking note of the paths of travel. In early results, the team found that information returning to Cuba took a much longer route. 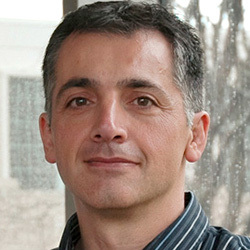 During their study, Bustamante and Bischof found that when a person in Havana searched for a topic on Google, for example, the request traveled through the marine cable to Venezuela, then through another marine cable to the United States, and finally landed at a Google server in Dallas, Texas. When the search results traveled back, it went to Miami, Florida, up to the satellite, and then back to Cuba. While the information out of Cuba took 60-70 milliseconds, it took a whopping 270 milliseconds to travel back. Bustamante and Bischof said this could be the result of a configuration problem or routing policy and are currently exploring this further. For now, they can only say — with certainty — that Cuba’s Internet performance appears to be among the poorest in the Americas, and its infrastructure would struggle to support web services hosted off the island, particularly network-intensive applications like Netflix. Understanding the problems and diagnosing their causes will help Bustamante, Bischof, and other teams propose future solutions.